After many years serving as a partner in two highly respected firms in mid-Michigan, Mark Hoover has formed a new firm in which he offers mediation and arbitration services. After graduating from Vanderbilt University in 1973, Mr. Hoover received his J.D. degree from Notre Dame Law School in 1977. Upon graduation, he took a position with Fraser Trebilcock in Lansing where he spent 24 years, during which time he served as the firm’s Managing Partner on two occasions. In 2001, he and three other litigators formed Hackney Grover Hoover and Bean, PLC, where he practiced for another 14 years. During his practice, Mark has litigated cases in the fields of Auto Negligence, No-Fault Insurance, Business Court LitigationGeneral Liability Insurance, Insurance Coverage, Legal Malpractice, Commercial Transactions, and Estates and Trust Litigation. He has tried over 60 jury trials, predominantly in the mid-Michigan area including Ingham, Eaton, Clinton, and Livingston counties. He has spoken frequently at the annual ICLE No-Fault seminar. Mark has been recognized as a Super Lawyer litigator by Super Lawyers Magazine for the years 2007, 2011-2014. 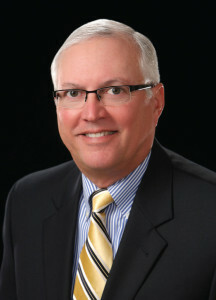 He serves as a panel member and Hearing Chairman as well as an arbitrator for the Attorney Grievance Commission. And, Mr. Hoover served as a Board member with the Ingham County Bar Association from 2011-2014. Copyright © 2019. C. Mark Hoover P.C. Mediation & Arbitration. All rights reserved.